What does fast really mean? How does website speed impact SEO? Why partnering with the right web host is important? How to pick a fast WordPress theme? What plugins can help speed up your site? 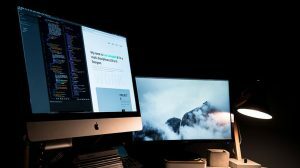 As well as eight other practical tips on how to improve the load time of your WordPress website. We’d all like our site to load as soon as we type the address in the address bar of our favourite browser and hit enter. Unfortunately, most of us have to face reality where load time is anywhere from 1 to 10 seconds. If it’s over 10 seconds – you’re losing visitors and money. If it’s under 3 seconds – you’re doing just fine. 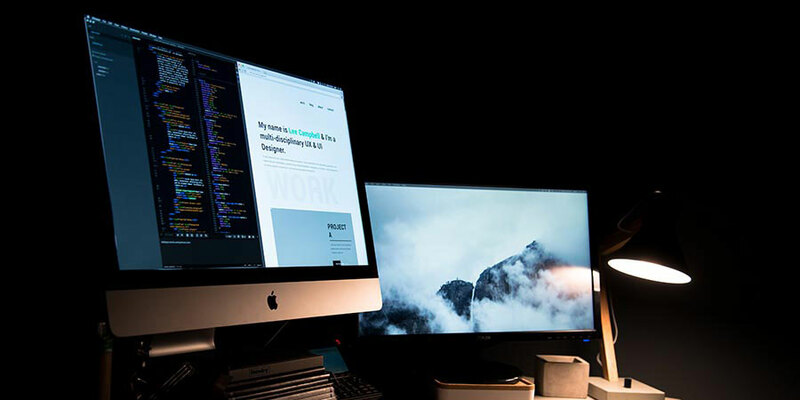 Everything in between – you should work on improving the speed of your website. Before we jump into all the ways you can use to improve the speed of your site, let’s first address why you should spend your valuable time and energy on optimizing load speed. After all, isn’t your time better spent producing new content, adding new features or products to your site? According to Strangeloop, the average site takes 10 seconds to load, whereas for eCommerce websites it takes 4.9 seconds to serve usable content. People can wait as long as 10 seconds for a website to load, but there’s a catch. As much as 57% of visitors expect the page to load 3 seconds or less. If it doesn’t – they’ll simply leave. There are some tools out there that can help you understand how fast your website is. You can try Pingdom, Google PageSpeed insights, FirstSiteGuideor or WebPageTest. All of these tools will show you the load speed and assign some score based on the issues they uncover. Just keep in mind that this score is not as important as the speed of your website itself. That’s what you should be focusing on. You can put the advice they give to good use, but remember that they will not solve the potential issues for you. Of course, you can always use Google Analytics to track the speed of your website. Chances are, you’ve seen the average page load time report in Google Analytics. However, it’s much more useful to review other dimensions as well. For instance, ‘DOM Timings’ report will show you how much time the user had to wait until they were served usable content. As always in Google Analytics, the data is taken from a sample of your visitors. If your visitor numbers are still low, the sample will be low too and that might skew the results. Speed has been a ranking signal for Google from 2010. Since then, the weight this signal carries has only increased. Search engine spiders can estimate the load speed of your site pretty accurately. Moreover, even though the speed of mobile pages currently does not impact your mobile rankings, soon it will be a ranking signal on mobile devices as well. But just how much does the site speed impact your WP site rankings? Backlinko analyzed median load time of 1 million domains using Alexa’s domain speed data. This means that the speed of individual pages (like homepage) was not analyzed separately. But instead, the average speed of the whole domain was analyzed. They found that there’s a strong correlation between the speed of the site and Google rankings. 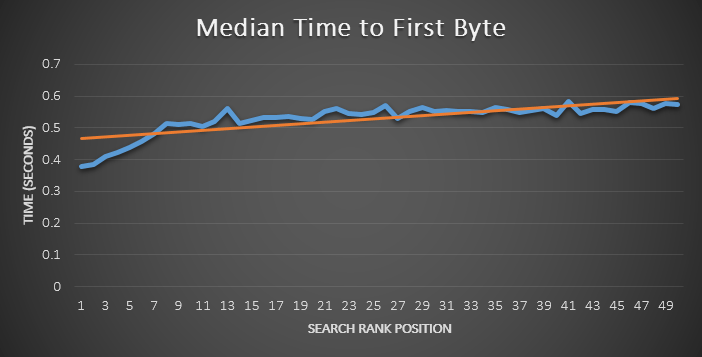 According to Zoompf, who have evaluated 100,000 pages and the impact of site speed on rankings, there is a clear correlation between Time to First Byte (TTFB) and the search engine rankings. In short, this metric captures how long it takes your browser to get the first byte of the response from the web server when you’re requesting a particular page. This speed depends on the latency of sending your request to the web server, how much time it takes for the web server to process your request and generate a response and the amount of time it took to send the first byte of that response to you. Often overlooked, choosing the right web host is one of the key components of every successful website. You don’t see a profitable business hosting their website on a free shared hosting with thousands of other sites. 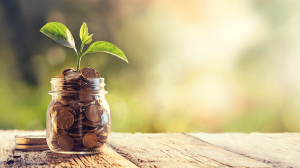 Sure, it’s a good deal when you’re just starting out – but once your website starts to get traction, that extra performance boost that comes from premium hosting will pay for itself over and over again. PHP 7 is a real game changer in the programming language that powers as much as 82% of the web. The update comes with the brand new version of the PHP engine called phpng, written to decrease memory consumption and increase performance. That sounds good in theory, but what about real life performance? 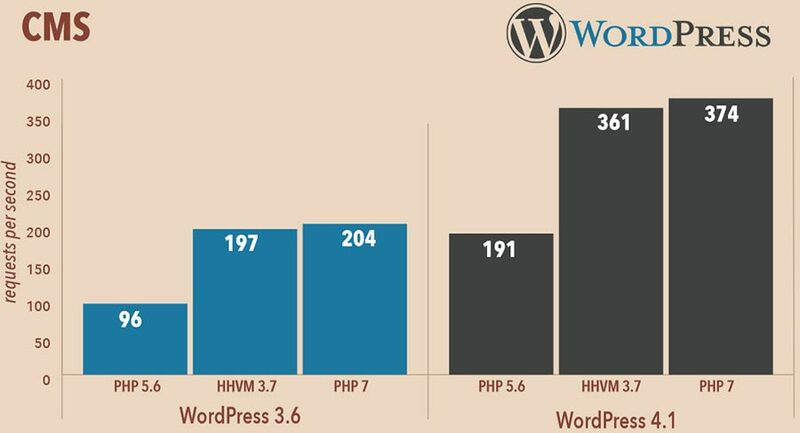 You can see the performance benchmarks provided by Zend Performance Team below – PHP7 makes your WordPress almost 2 times faster. One WordPress request on PHP 5.6 executes just under 100M CPU instructions, while PHP7 only executes 25M to do the same job. A content delivery network or content distribution network (CDN) is a globally distributed network of servers deployed in multiple data centers around the world. This ensures that, for example, your end user from Paris isn’t served content from your server in USA, but rather gets it from a server in Europe ensuring higher availability and speed. 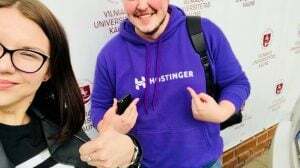 The great thing about Hostinger is that you get a blazing fast speed site without having to worry about setting up CDNs or messing with .htaccess file. Investing in a good WordPress theme from the start will help you avoid lots of problems. 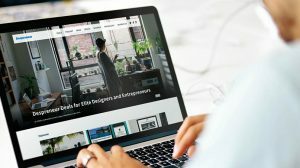 Designers often get a little carried away with designing themes that look great visually, but just don’t perform that well in terms of speed, SEO or conversions. The solution? You can either go minimal and use minimal themes, that are not feature rich. Or you could use one of the fastest loading WordPress themes. According to Statcounter, more websites are now loaded on smartphones and tablets than on desktop computers. As much as 51.3% of pages were loaded on mobile devices in October 2016, compared to 5% in 2010 and 25% in 2013. And here’s the thing. Mobile users usually have slower connections, but they expect that your site will load as fast or even faster than on desktop. There is a good plugin by Automattic that enables AMP for your WordPress website. If you’re wondering how this will work with some other plugins that you’re using, like Yoast SEO plugin – no worries, there’s a special Glue for Yoast SEO and AMP plugin. It allows you to optimize metadata, which is not possible if you’re only using AMP by Automattic. Optimize all of your images before you use them on your WordPress website. A lot of the time speed issues can be resolved by simply optimizing the images using services like TinyPng or Smush it. Use exactly the required size of the image. For example, if your featured image is 800px wide, upload the image that is exactly the same size. Most caching plugins will take care of most of the issues related to RTTs. So if you are not using server caching, you can achieve the same results by using the W3 Total Cache plugin. 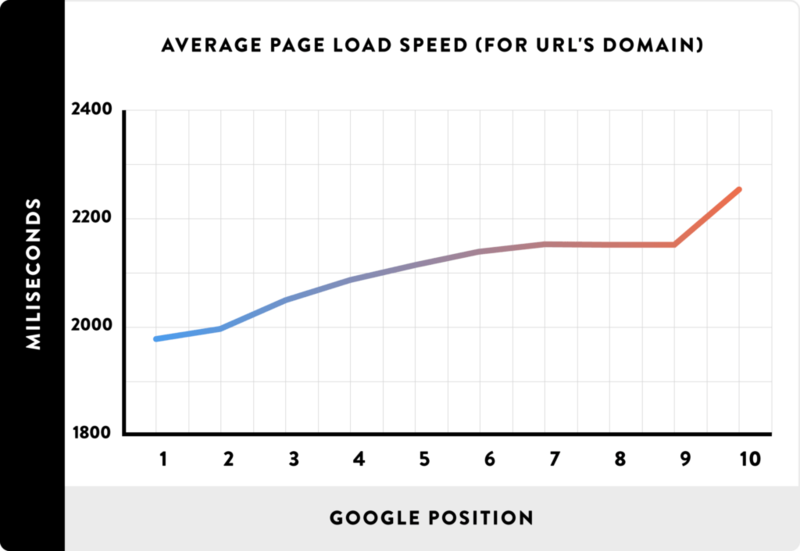 This will help you improve the load speed of your site. It’s worth mentioning that for optimal performance it’s still better to let your hosting provider handle image caching. Your website code has a lot of repetitive patterns and elements. It’s just the nature of programming that makes it easier for humans to develop and read code. However, your browser doesn’t need the code to be pretty and legible. You can do it manually by editing your .htaccess file or by installing WordPress plugin like GZip Ninja Speed Compression. To reduce the number and size of HTTP requests browsers serve a cached version of the page to the end user. Expires header in HTTP response is used by the web server to define how long the browser should be cached. Never expire policy should be implemented for static components on your website. This is usually done by setting a far future Expires header. Some plugins like W3 Total Cache plugin will also take care of that for you. While you’re at it, it’s worth keeping in mind that Google started punishing websites that use mobile pop-up ads. So you might want to re-configure your popup and lead generation plugins so that you’re only serving popups on desktops. Improving site speed is part of making your website more successful. Whether you’re selling products, blogging or offering software as a service – load time is crucial in 2017 not only on desktop devices, but also on mobile. Choose the right hosting provider that supports PHP 7, HTTP/2 and Gzip compression. Use CDN for all the static files you are serving.